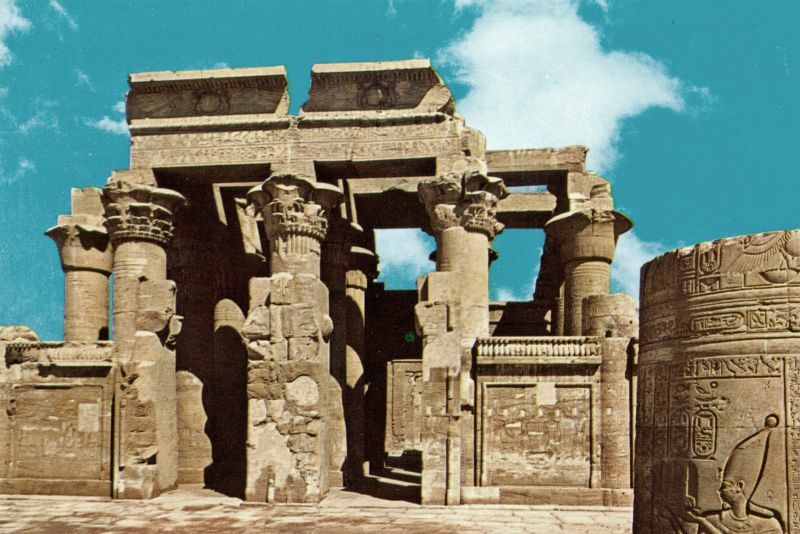 Temple of Kom Ombo. 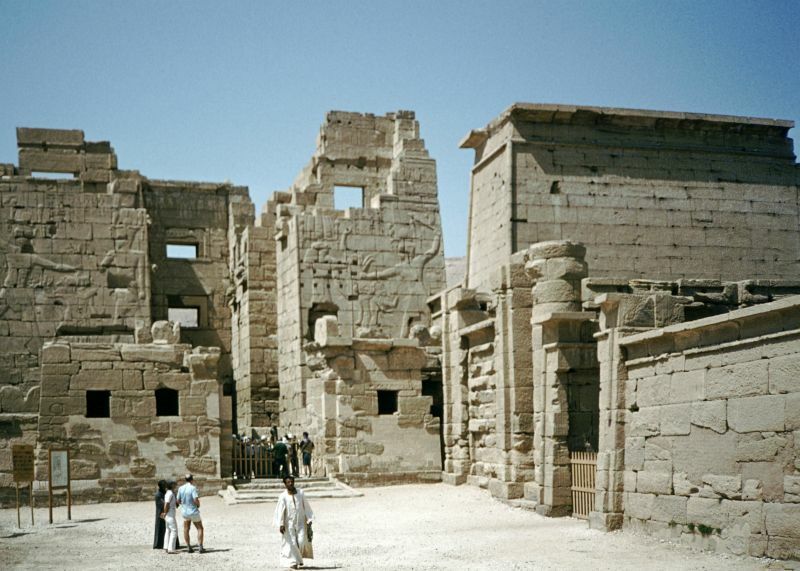 It was originally an Egyptian city called Nubt, meaning City of Gold. 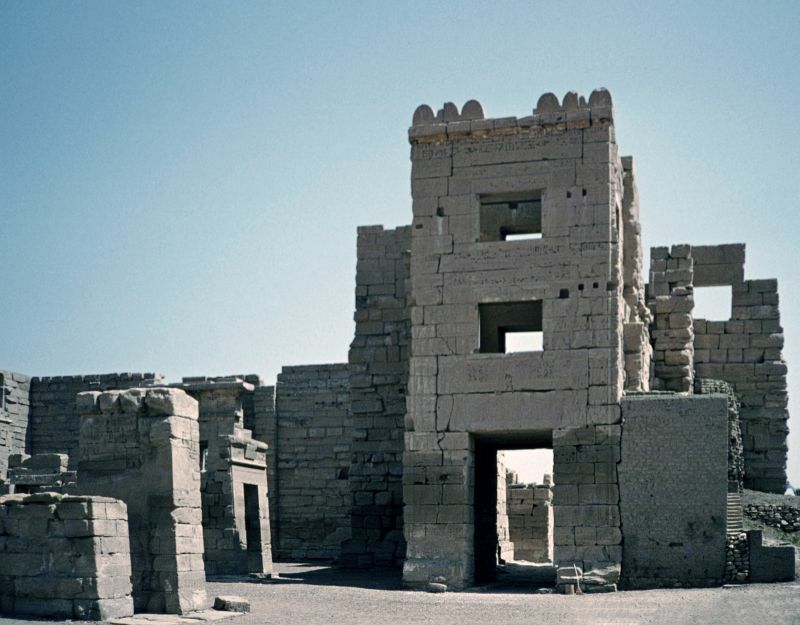 There are two temples at Ombos, constructed of the stone obtained from the neighboring quarries of Hadjar-selseleh. 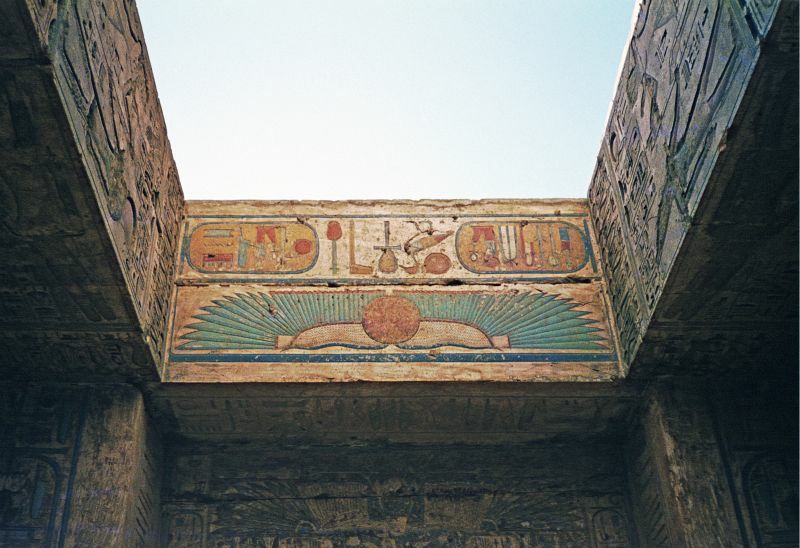 The more magnificent of two stands upon the top of a sandy hill, and appears to have been a species of Pantheon, since, according to extant inscriptions, it was dedicated to Aroeres (Apollo) and the other deities of the Ombite nome by the soldiers quartered there. 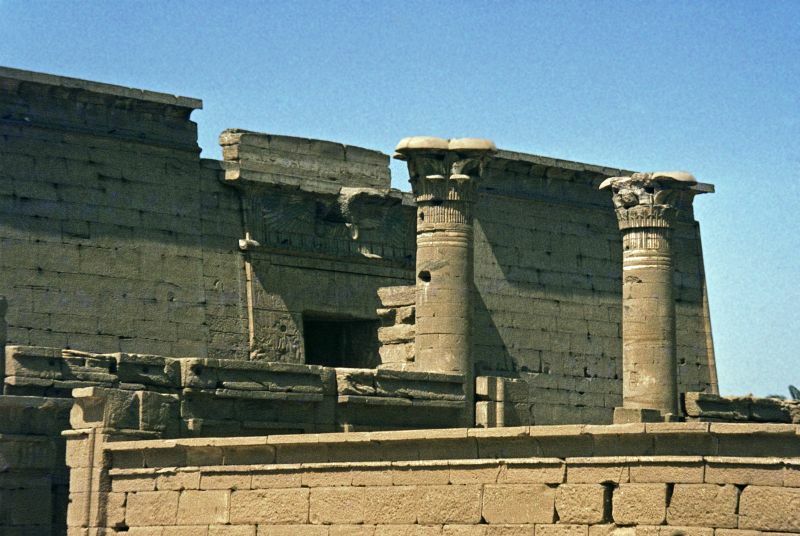 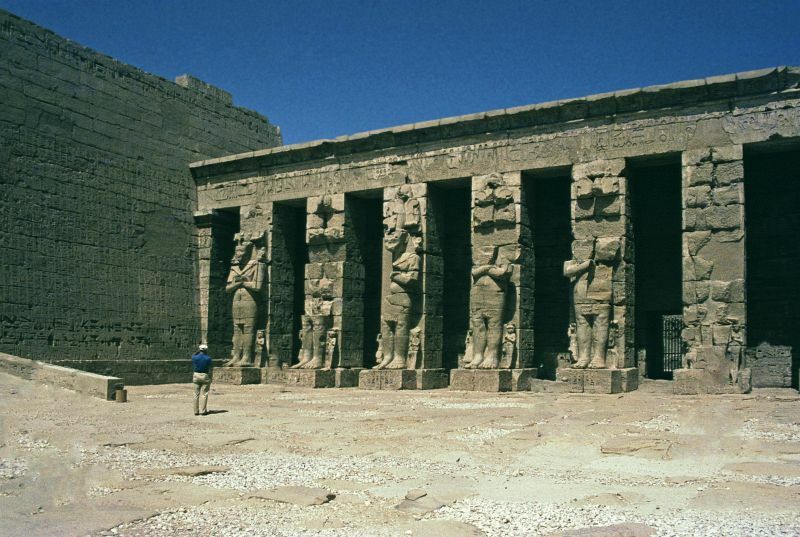 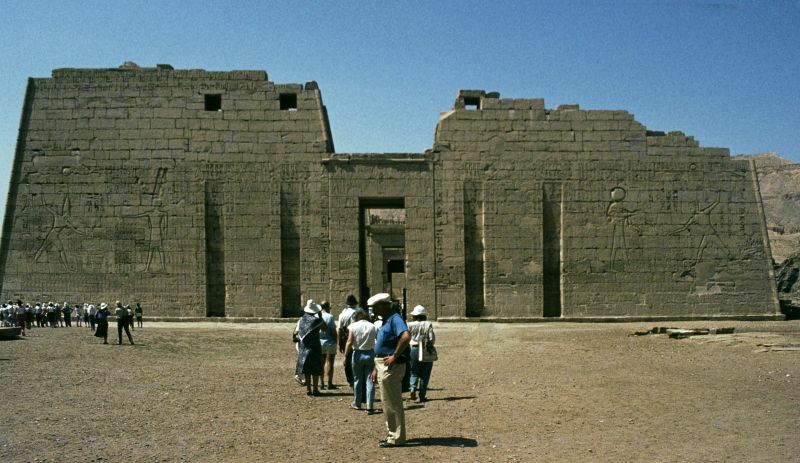 The smaller temple to the northwest was sacred to Isis. 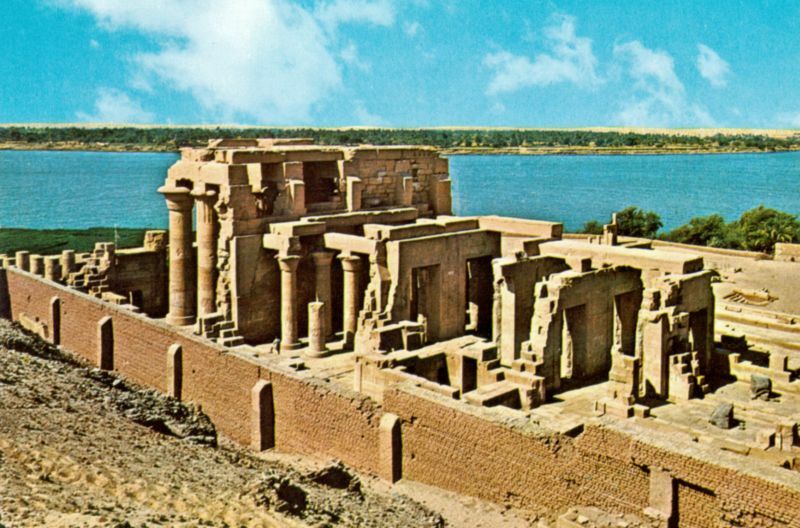 Both, indeed, are of an imposing architecture, and still retain the brilliant colors with which their builders adorned them. 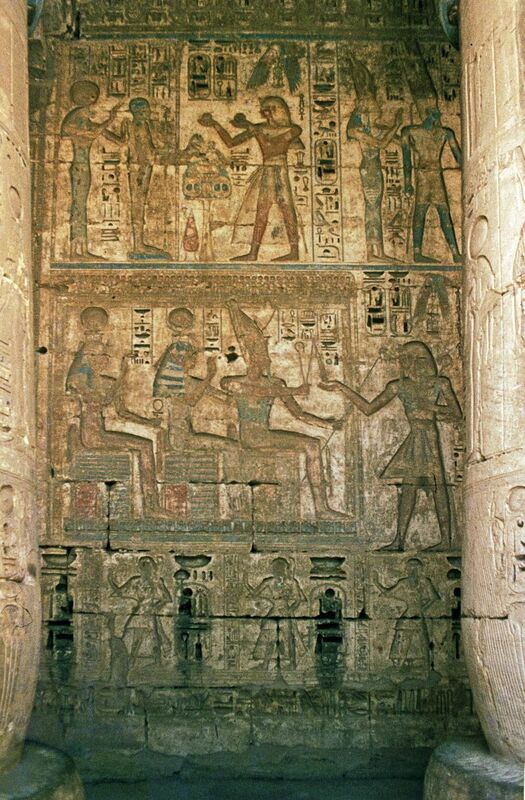 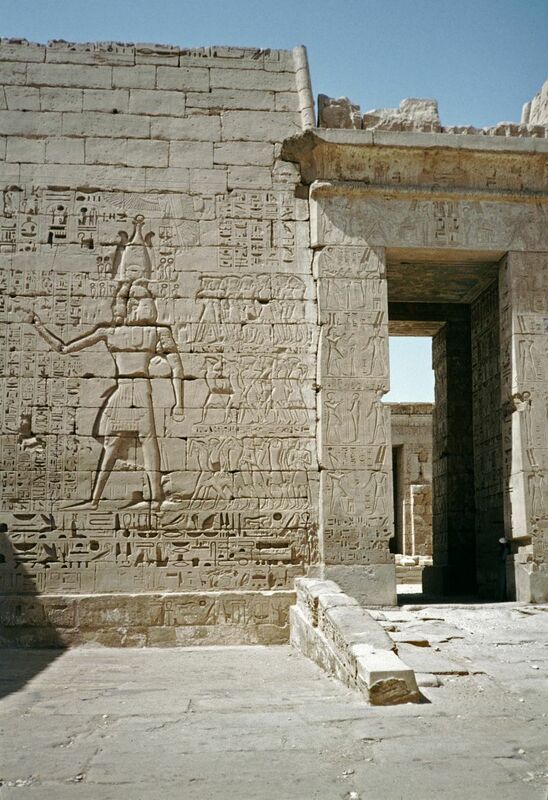 They are, however, of the Ptolemaic age, with the exception of a doorway of sandstone, built into a wall of brick. 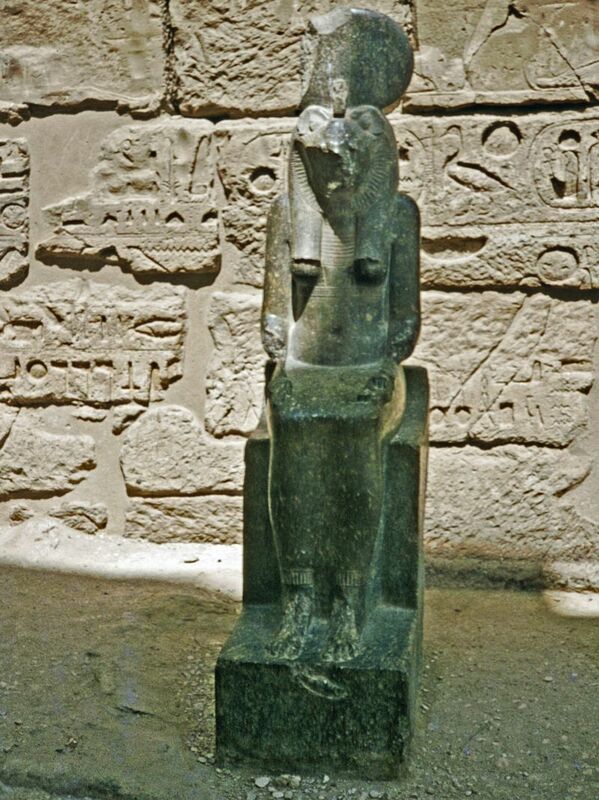 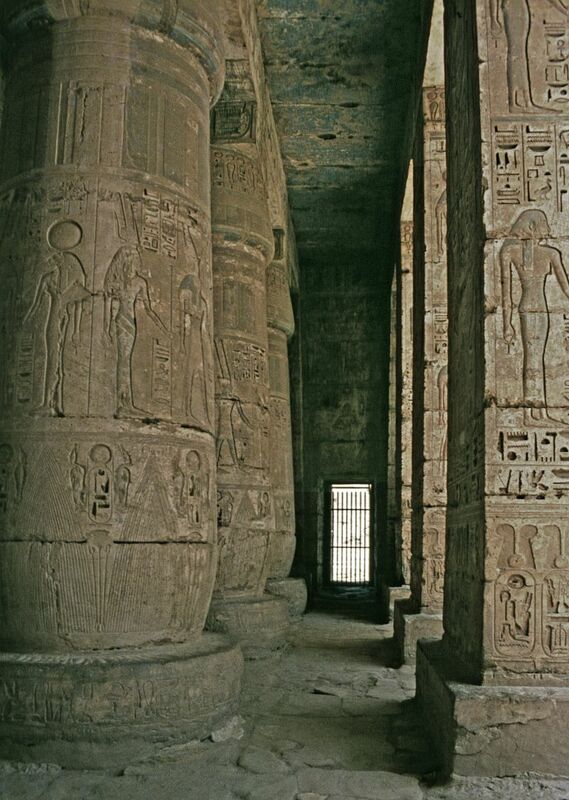 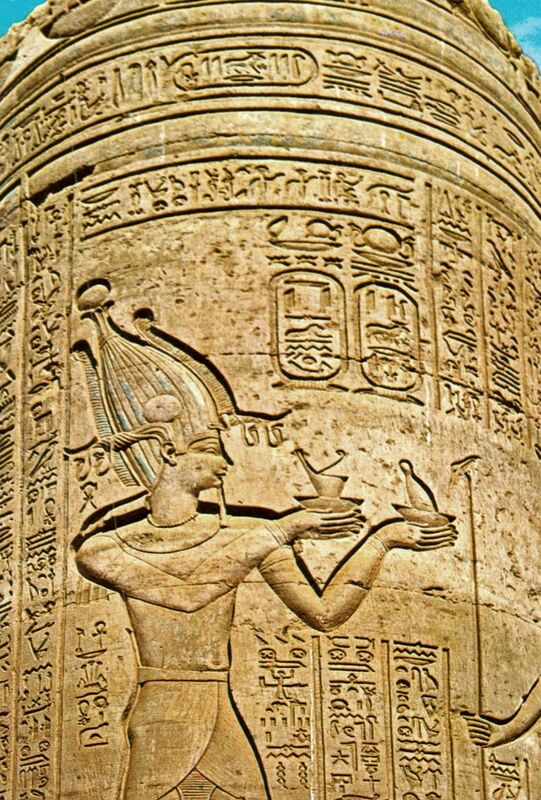 This was part of a temple built by Tuthmosis III in honor of the crocodile-headed god Sobek.